Professionals in the music business describe how statistics and percentages are used to determine: (1) the popularity of an artist, (2) where the money from album sales goes, and (3) how much of the total “gate” a performer receives. On-site interviews uncover the reasons why concert ticket prices cost so much (or so little). 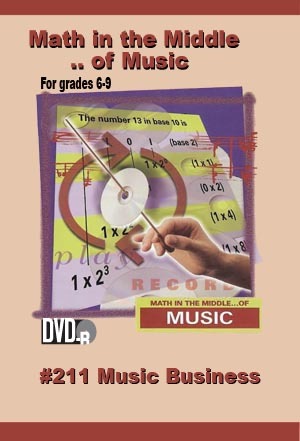 •Use statistics to compare the popularity of particular pieces or types of music. •Use percentages to analyze income sources for musicians. •Determine how the income from ticket sales is allocated.